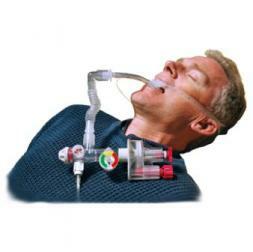 The SUREVENT is the first disposable automatic ventilator designed for pre-hospital emergency care providers. Utilizing a continuous gas flow source, the SUREVENT provides smooth, reliable ventilatory support via a mask or endotracheal tube. The SUREVENT is ideal for everyday emergency care situations, as well as large scale disasters and mass casualty incidents. Extremely light and compact at only 4 oz. The FlowMaster MCI Kit provides a truly complete and cost-effective mass casualty automatic ventilation system. Each kit provides a single staging point for up to 7 patients. Individual controls on each of the seven patient oxygen outlets of the FlowMaster allow flow adjustments from 0 to 25 LPM to accommodate the unique needs of each patient as well as to allow a combination of both air-mix and 100% oxygen devices to be connected to the manifold at the same time.